Gary Sullivan Antiques offers a number of services to our clients, including the location and acquisition of objects to fulfill their specific collecting or decorating needs. 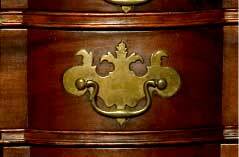 With over forty years of experience, we specialize in authentic examples of pre-1840 furnishings for a discerning clientele. 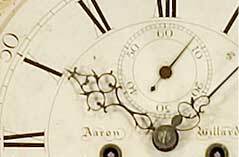 Our specific expertise in the category of exceptional early American clocks continues to be an important segment of our business. 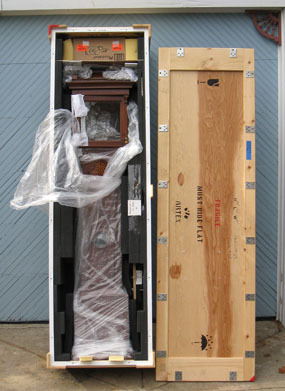 We are proud to state that many of the finest clocks that come to market in this country are handled by our firm. We are frequently called upon by collectors, auction houses and individuals to authenticate rare and important examples. Mr. Sullivan offers expert representation and authentication of objects being offered at auction. We are always interested in purchasing fine examples and will gladly assist in the liquidation of an entire estate or a single noteworthy object. 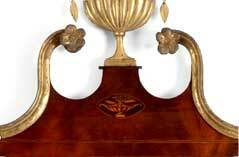 We also offer written appraisals for clocks and other fine antiques. Our expertise is available to private individuals who are in need of guidance to coordinate the sensitive restoration and conservation of pre-1840 clocks. We welcome the inquiries of designers and are happy to assist both advanced and inexperienced collectors. Please call or email for assistance. Ever since closing my retail space in the mid 1990s, I have had a “one price” policy with my clients. We do not have a retail gallery, and are usually conducting business long distance with individuals who are not looking at an actual price tag. For this reason, we do not have a falsely inflated “sticker price” and a separate discounted price. We establish a no-nonsense price that makes sense and quote that price to everyone. Although unusual in the antiques business, our collectors appreciate how easy it is to conduct business here. It eliminates awkward price negotiation and allows the buyer to make a yes or no decision. Be sure to visit our "How To" video page. 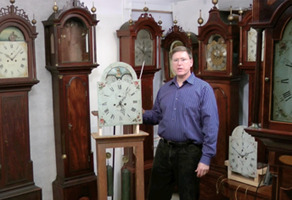 There you will find helpful instructional videos about antique clocks. We are glad to receive input so feel free to contact us with an idea for a future "How To". View the Instructional Videos page.